This is just a short blog about an interesting development in the Arctic. I keep a frequent lookout on websites such as NSIDC's Arctic Sea Ice News and importantly Neven's Sea Ice Blog. It's a scary graph and implies that we'll have a September minimum of 0Km3 as early as 2015; an August ... October minimum of 0Km3 as early as 2016 and a July minimum of 0Km3 as early as 2017. 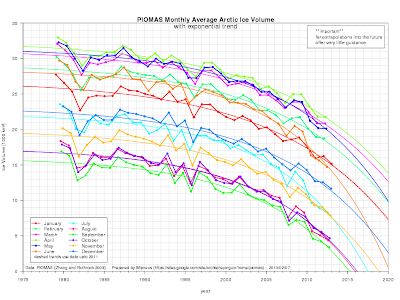 That is, a rapid collapse of the Arctic sea ice. However, there are wide error bars, and so future predictions should be treated cautiously. In the arctic much of the ice disappears every year (first year ice), but some remains (multiyear ice). 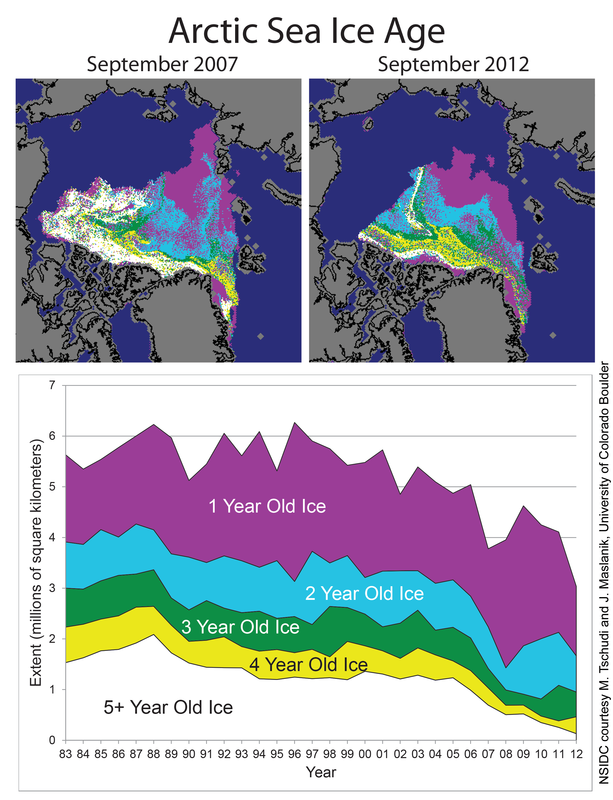 The resilience of Arctic sea ice depends upon multi-year ice, because it's thicker. 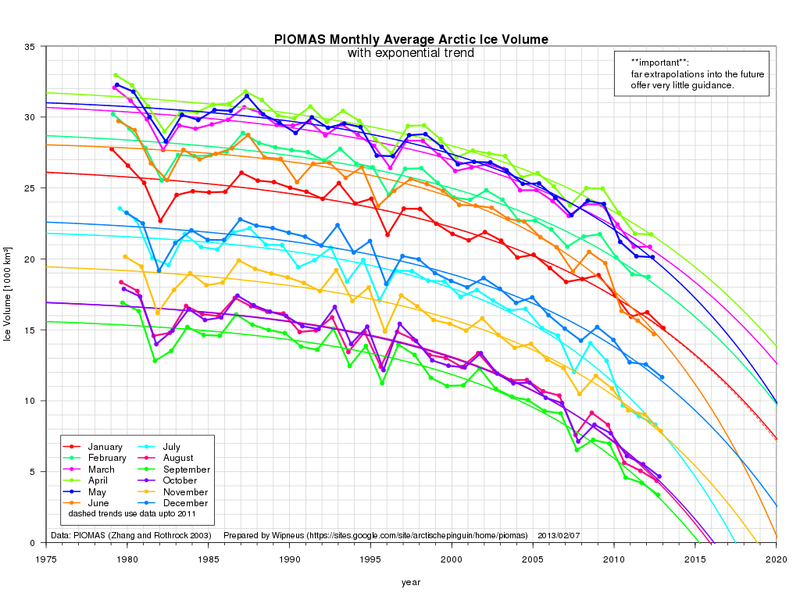 Most of the multiyear ice was lost in 2007 and has progressively depleted since then. (It's a false-color image so you can see the contrast more easily, Greenland is bottom right, cracks are shown white against orange). Of course, it might not actually happen - I'll post a comment in a few days if it does!